Chairman, Center for Development Alternatives; former Co-President, Club of Rome. 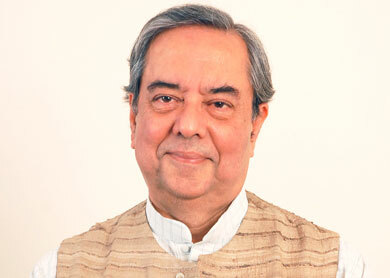 Dr Ashok Khosla is one of the world’s leading experts on the environment and sustainable development. He was the Founding Director of the Indian government’s Office of Environmental Planning and Co-Ordination, the first such agency in a developing country. He left the United Nations Environmental Programme (UNEP) to found Development Alternatives, a Delhi-based NGO devoted to promoting commercially viable, environmental friendly technologies. He has been a Board Member of numerous global environmental organisations, including the International Institute for Sustainable Development and the Stockholm Environment Institute and served as an adviser to, among others, the World Bank, the United Nations Development Programme and the Indian government. Currently, he is the President of Development of the Club of Rome and Co-Chair of the International Resource Panel. Mr. Khosla was made an OBE by the UK Government and awarded the 2002 Sasakawa Environment Prize and WWF’s Duke of Edinburgh Medal in 2011.